Fantastic clothing and gifts from newborn to 5 years. Boots is a pharmacy chain, specialising in medication, beauty products, gift ideas and more. Brooks (Furnishings) offers fitted carpets and vinyls, lounge suites and sofa's, bedroom and dining furniture, reclining chairs, beds, linens, curtains and blinds. Cairns Chemist is the official point of sale for La Roche-Posay beauty products in Carluke. Charity store raising money for Cat Concern which rescues and re-homes feral and domestic cats. Choices is a local charity shop, run jointly by the churches in Carluke. Give them a visit for your own custom cake, which can be made using an image you send that is printed on edible paper. At Clear Vision Opticians we are focused on providing professional optical services with the highest levels of customer satisfaction and we will do everything we can to meet your expectations. Fresh flowers and gifts for all occasions - birthday, anniversary, wedding, funeral or just because. Bespoke, individual, and tailor made to your needs and your budget. Whatever the occasion, Gifted has the answer. We look forward to seeing you. Hugh Black & Sons is a Lanarkshire success story, expanding from the late Wiston farmer Hugh Black’s single shop in 1987, to 11 independent high street butchers. Their beef, lamb and pork is proudly sourced from top-end Scottish farms and auction markets and then prepared into traditional Scottish cuts, alongside cooked meats, puddings, sausages, burgers, and pies baked in their Bathgate premises. JJ Blinds & Curtain Company is a local, family run business providing high quality, made to measure blinds, curtains and soft furnishings to Lanarkshire, Glasgow and Central Scotland. We offer a free measuring and quotation service where we will visit your home to help you choose the best styles and colours to suit your individual needs. Alternatively you can visit one of our showrooms where a member of our friendly team will be on hand to assist you with ideas from our wide range of fabrics and samples. We have 6 retail butcher shops with friendly, professional staff waiting to help you with your order. We are closed Sunday, although we can deliver your buffet or freezer order on a Sunday if you arrange this in advance. At Jean F Sinclair Shoes our main focus is customer satisfaction. We have a large variety of shoes for the whole family available in a range of sizes, brands and styles. Whether it's comfortable shoes and slippers for dad, school shoes for the children or new heels for mum, Jean F Sinclair shoes can provide the solution. Optometrist based at 38 High Street offering glasses, lenses and eye tests. National chain offering a range of services including repeat prescriptions, medicines, smoking cessation treatments and more. Hardware store specialising in equipment for DIY with a wide range of tools. Our florists years of experience mean we are well equipped to produce beautiful fresh flowers for any event. Our bridal expertise is unrivalled in the area, and we can be guaranteed to always remain competitive. We have a fantastically wide range of flowers available throughout the year, perfect for birthdays, thank you's, celebrations and why not make the gift extra special with a balloon, teddy bear, box of chocolates, bottle of wine, or Champagne? 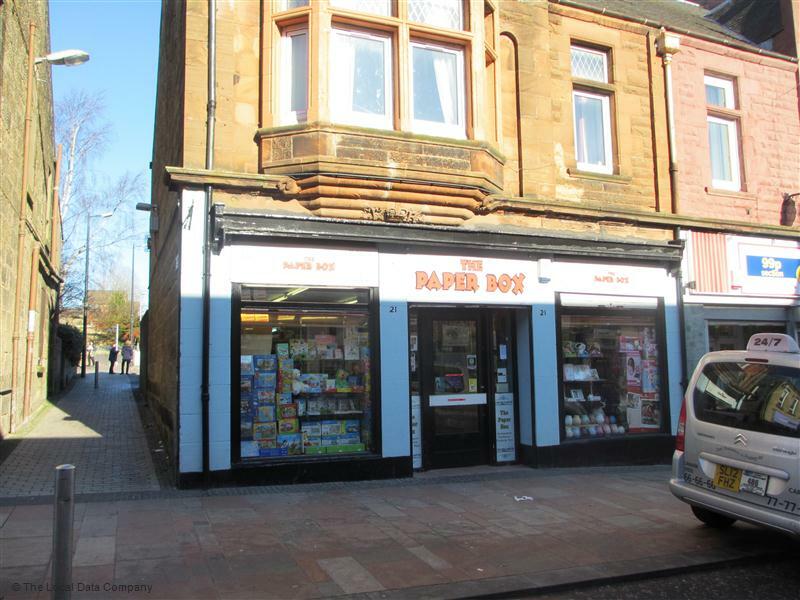 Occasions (Cards & Balloons) is a card shop serving its local area in Lanarkshire. They offer birthday cards, greeting cards, anniversary cards, wedding cards, and posters. Store featuring a wide range of cards, gift bags, wrapping paper and gift ideas. Papers & Vapours is a retailer of quality e-cigarettes, accessories and UK made e-liquid. Welcome to Perfect Press. Perfect Press is a well established dry cleaners situated at 77 Krikton Street, Carluke. We offer a wide range of dry cleaning services as well as ironing and pressing at our store. Photoflash Coaches are ideally located in Central Scotland between Glasgow & Edinburgh. We are only 5 miles from both main motorways in Scotland. We can be in Glasgow or Edinburgh within 30 minutes and we welcome your enquiries from hires from Lanarkshire, Glasgow, Edinburgh and all other areas throughout the Central Belt of Scotland. A treasure box full of fashion inspiration. Rachel has the Design knowledgeable, experience and technical skills to assist you. Whether you're looking for for that exclusive creation or have something in mind to create. Rachel can make your dreams come true and have you looking and feeling exquisite. 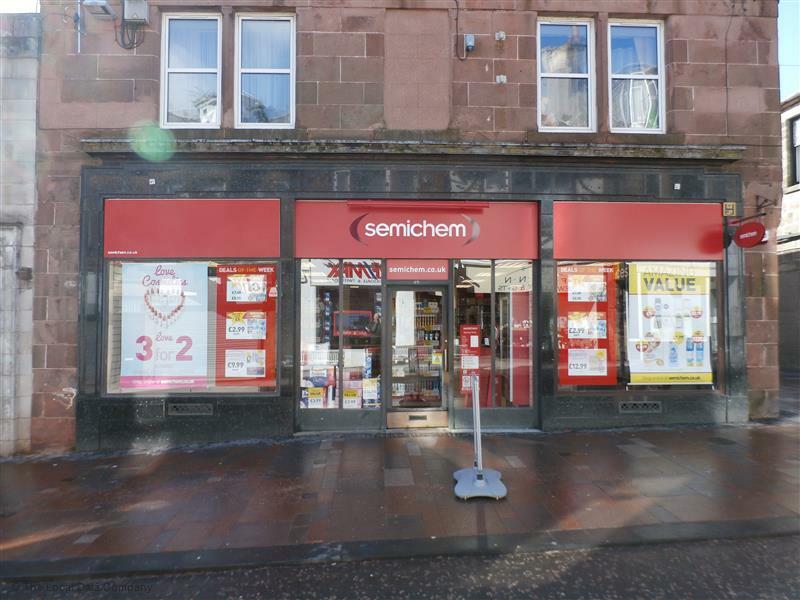 McColls Retail Group is a British convenience store and newsagent operator, trading under the trading names McColls, Martins and RS McColl for stores in Scotland. We have hospice shops in a variety of locations, so feel free to pop in to your local shop to find a bargain or give a donation to help support the work at the hospice. Since the company was established in 1999. We have built this reputable and friendly business stemming from 28 years of travel knowledge and experience and provide an optimum service.The services in which we offer are exceptional rates for accommodation worldwide and any other aspects of travel that you may require, short-breaks, theatre breaks or why not indulge yourself in a luxury spa break. We act as agents for ATOL and ABTA protected suppliers. Specialists in Mobile Phone and Laptop Computer Repairs. Based in Carluke, we've been repairing computers and phones for years. We love our customers and put them at the heart of everything we do, visit us in store to experience our “Original” customer service. Ultim8 Vaping is a retailer of quality e-cigarettes, accessories and UK made e-liquid.